It's all around us in so many forms. From the daily sorrow-filled news reports that never stop, to the abuses that abound in so many forms, to our personal struggles with life threatening illnesses, and debilitating mental illnesses, to the cruel violence that's become such a part of our entertainment. It's here, it's part of our lives, and it's overwhelming. The powerlessness we can feel when surrounded in these darknesses is scary and isolating. We forget our connections we have with each other, we forget the importance of leaning and asking for help, we forget that we're not alone and that together we can walk thru the fires and survive. We forget that we can go beyond surviving and indeed we can grow and become more. These candles are offered as reminders of these things we forget. 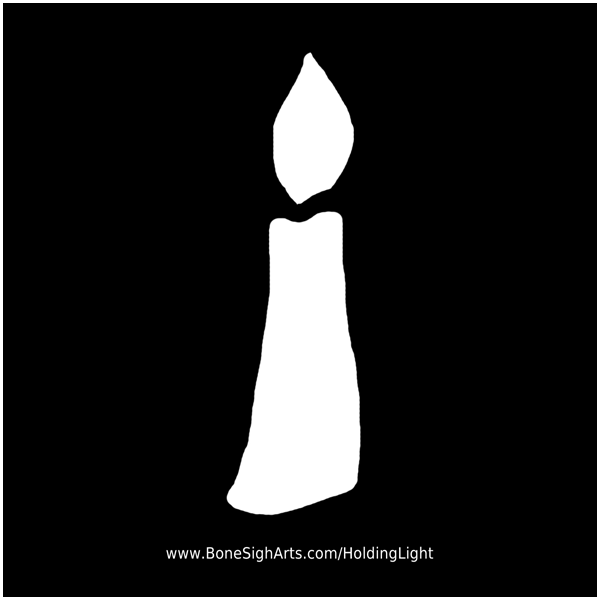 They are offered as reminders that we are truly each other's candles. They are for a friend to pass to another friend fighting cancer, they are to give a friend who feels depressed and lost, for an elderly person struggling with the pain of growing old. They are for the newly divorced wondering where their world went, for counselors to give clients to remember to hang on. They are for anyone who needs to remember that they aren't alone. They are a way to touch our compassion and empathy and bring us to the goodness of our humanity. Let's pass some candles around! Let's light up some darkness! there are so many light spreaders out there. in the meantime, come on over and check out what we're doing. 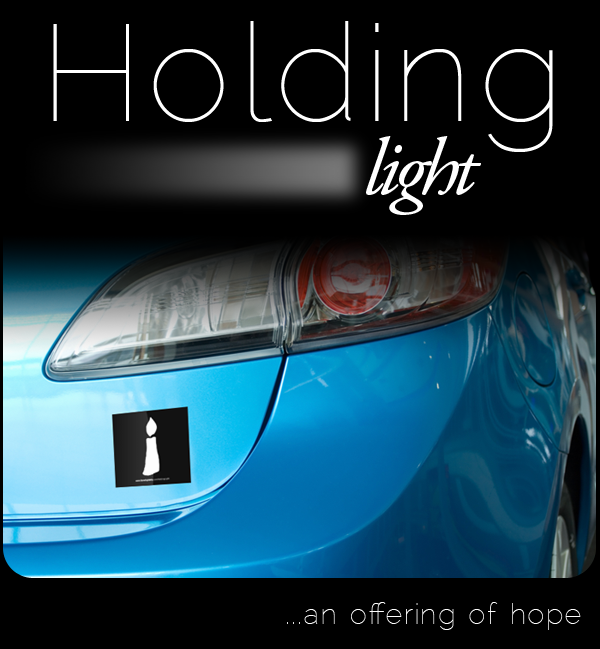 Want to share a photo of your holding light sticker? Great! We'd love to have you. Here's how it works: clicking the link below will make a draft email appear. Attach your photo to the email, adjust the title as desired, and send it off into cyberspace. The email will be magically processed and your photo will be posted within minutes. How cool is that? Let's share the light and remind each other that we are not alone. Email subject will be the photo title. Add your state if you'd like to share where you're from. Email body will be the photo description. Tell the story, or leave it blank... whatever you're comfortable with. Just remember this is a public post. Tags will help people find these photos and share their own. Add any tags you want or leave the included tags line as it is. NOTE: Please remove email signatures from the message.